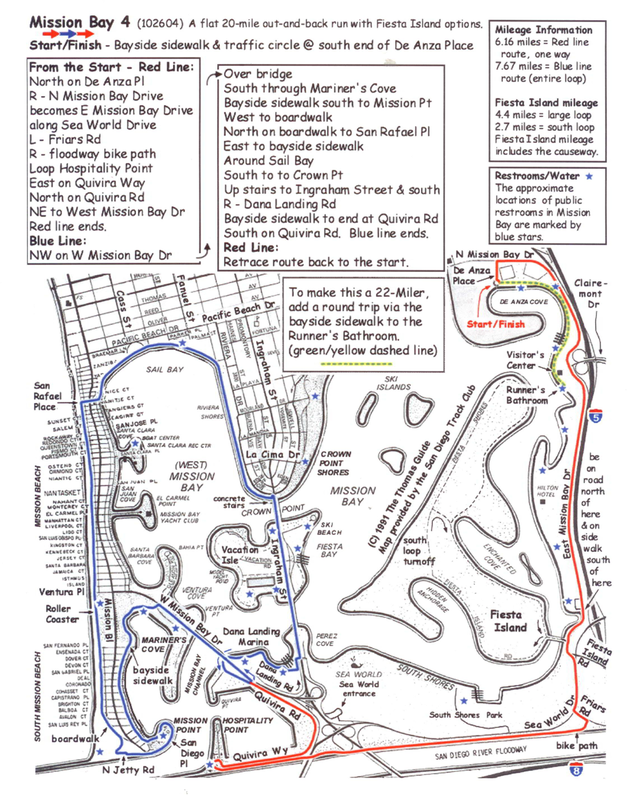 Length of Trail: Main loop around the island about 2.5 miles with a large open sandy area in the middle of the island. There are a couple of spots where signs guide you inland away from the shoreline, but these are clearly marked. There are often many dogs on the beach on the north west side of the island. You can avoid this beach by crossing the mesa which usually has fewer dogs. 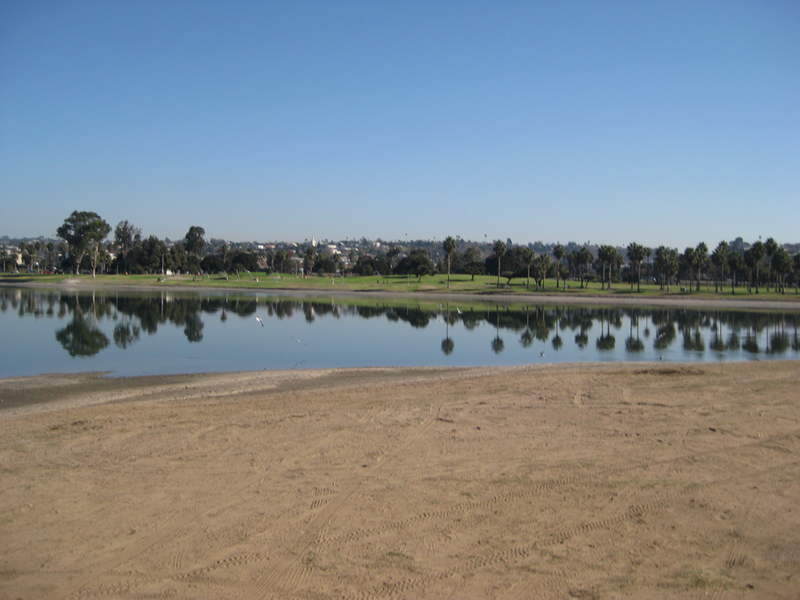 Staging Area: Fiesta Island is located off Fiesta Island Road which can be reached from East Mission Bay Drive or Sea World Drive. Once you are on the island, you can park on the sand by the side of the road. There are several Portapotties available on the island. Water: There is no fresh water available, but plenty of sea water! Trail Conditions: The footing is sand for the most part. By the water, the footing could be soft, so be careful. 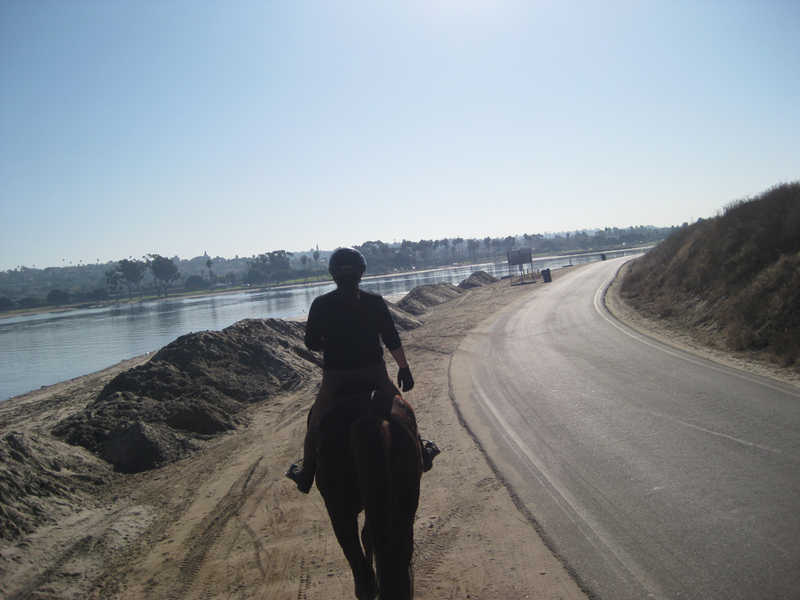 Trail Users: The island is open to motor traffic, hikers, cyclists and dogs as well as horseback riders. The water is full of motor boats, jet skis, sail boats, kayakers, parasailers, paragliders and more. Due to all the activity, the location can be quite challenging to horses. In summer, I recommend enjoying this trail early in the day on a weekday. Don’t come during the Over The Line Tournament! 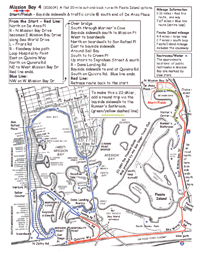 General Trail Info : This trail ride is a gem, and not used much by equestrians. The scenery is amazing. 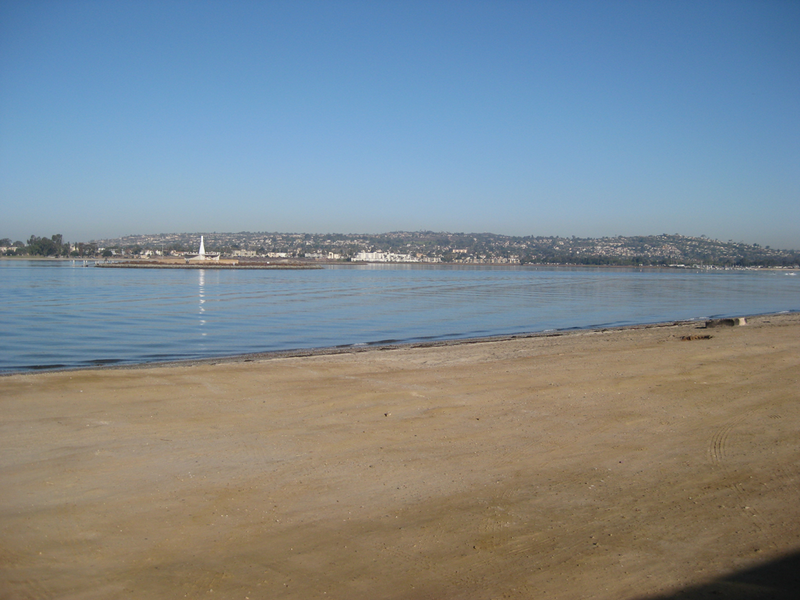 You have good views of Sea World and Mission Bay. The water is calm, without the waves you find on the ocean side. You can take your horse into the water for a swim if you are so inclined, however, the water quality is far from pristine! 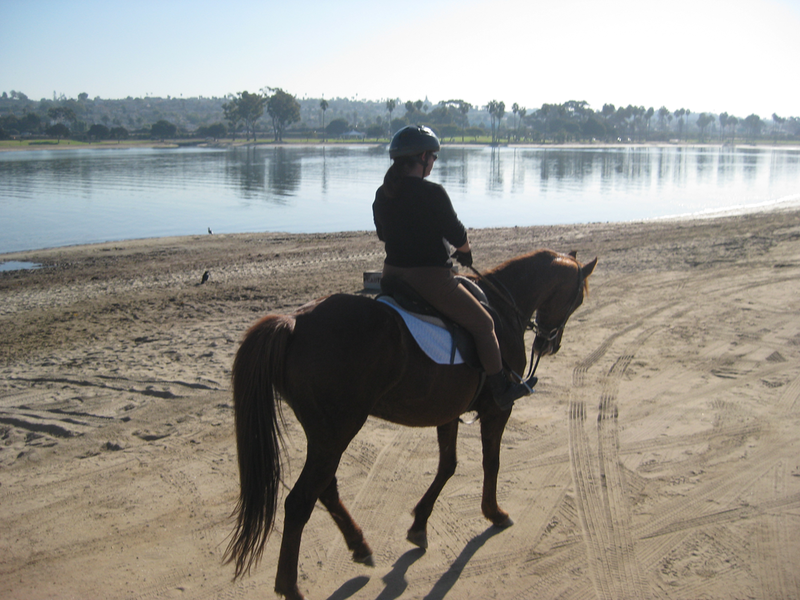 It is a great place for an hour or two trail ride (go twice round the island if you like) and then a picnic on the sand.